Telecom New Zealand recently launched their new brand imagery with “Light of Mine”, an integrated advertising campaign, online at www.lightofmine.co.nz. A television commercial featuring animated passions takes people to the site where they can share their passions and let Telecom know what little thing would make their spark shine brighter. “Spark” centres on the inner passion of everyday New Zealanders. 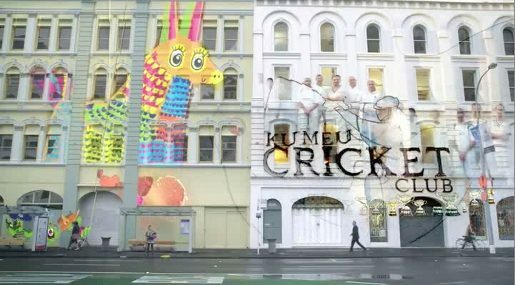 The campaign team asked eight ordinary Kiwis what lights them up, providing inspiration for a visual celebration of their ‘spark’. Music is a New Zealand recording of the gospel classic, “This Little Light of Mine”. The Let It Shine campaign was developed at Saatchi & Saatchi New Zealand by executive creative director Mike O’Sullivan, creative director Luke Chess, creatives Connan James and Craig Farndale, deputy creative director Tim Huse and agency producer Pip Mayne, senior account director James Polhill and senior strategist Teresa Harris, communications director Grant Mercer and general manager Murray Streets. Original content was provided by eight New Zealanders: Mike, Zach, Bryan, Darren, Jan, Pinata, Jak and Yasmin. The eight illustrators were Beck Wheeler, Zoe Fannin, Simon Shaw and Jo Tronc at Watermark, Sarah Larnach, Greg Hodgson, Flox and Kelly Thompson at International Rescue, Marc Smith at GoodCop. Filming was shot by directors Rachel Guidera and Paul Freeman at Underpants with director of photography Duncan Cole, producers Angela Jackson and Mary Wall (live action). Music and sound were produced at Liquid Studios by Peter Van Der Fluit. Tracklay and final mix were produced by Clive Broughton at Digital Post. Editor was Sam Brunette at PostBoy. Telecom staff on the campaign were director of brand and marketing Craig Herbison, head of communications Michele Teague, head of brand Pete Loveridge, and lead manager communications Brett McMeekin. Voiceover was provided by Craig Hall, Talking Heads.